All of Grandma Lucy’s Starter Treats are created using the same whole ingredients as our freeze-dried pet foods. If your dog is in love with these freeze-dried treats, try a bag of Grandma Lucy’s Macanna™ Pet Food with protein options such as Beef, Salmon, or Pre-Mix. 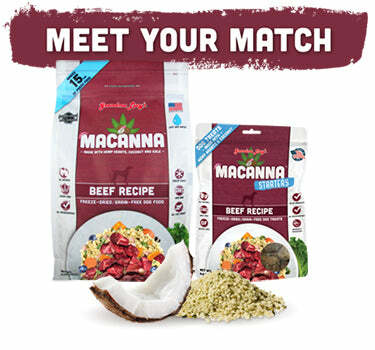 Macanna™ is a simple, just add water meal for your dog that tastes and smells just like a home-cooked meal!